Grips readers with the surprising truth that God reveals his essence through his own execution. Download our free trailer ideal for Easter outreach services. Imagine being offered one photograph that captured the essence of God—an image that revealed everything you need to know about everything that matters. And imagine if this picture of God would shock you… shake you… and change you forever. Would you look at it? 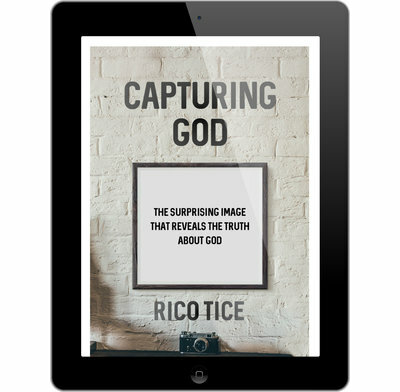 Rico Tice takes readers to the cross in all its shock, inviting them to see God as they have never seen him before. Readers will see that the God captured in Luke’s Gospel is a God of integrity, welcome, justice and peace. This is vintage Tice: a warm, engaging, crystal-clear presentation of the gospel. It gets straight to the heart of the Bible’s message and right under the skin of the reader. I loved reading this book. It presents Jesus clearly and attractively. It explains simply and clearly not only who he is and why he came, but also how he is relevant to all. I will give this book to my friends! This is a must-read for you, and a must-give to your friends. Rico tells the old, old story in a new imaginative way. I am happy to pass this book onto the younger generation in my family.